I attended the Thursday CMU music school convocation that featured a lecture/performance by Sandeep Narayan and his brother Nirmal Narayan. I very much enjoyed the presentation. 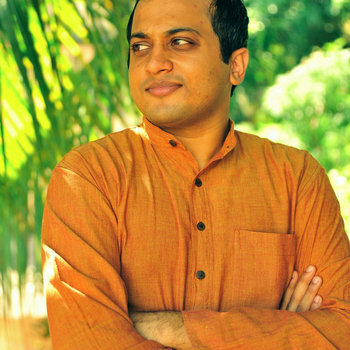 Sandeep Narayan is a Carnatic musician. Carnatic music is the “classical” music of Southern India. I’d never specifically listened to it before, because I’d never had an introduction to it so that I would know what to listen for. Sandeep is unusual in that he was born and grew up in the US, in Los Angeles, before eventually settling in Chennai, the center of Carnatic music. I imagine he must have faced quite a bit of curiosity and skepticism as one who walks between two worlds. In any case, his introduction to the elements of Carnatic music, along with brief performance excerpts with his brother (Sandeep sang and Nirmal provided percussion backup), was fantastic! It was a very clear introduction to the elements of pitches, scales/modes, rhythms, and different levels of improvisation. It was particularly helpful that he related the different vocabulary to that of Western “classical” music and jazz. I wish I had been able to attend the free concert he was giving this evening, but in any case, after receiving this introduction, I feel ready to pursue Carnatic music further as a listener. I always feel intimidated and lost when thinking about how to understand a new kind of music; I’m not quite adventurous enough to just jump in with a tiny bit of prior background knowledge. Introductions like his go a long way to providing just enough that it is possible to start enjoying. One thing Sandeep emphasized is how the music is fundamentally based on improvisation. He joked that his instrumentalist accompanists have to know more about music than he does, because they all have to follow wherever he goes. They have no idea what he is going to do with the musical material, till he is actually doing it.